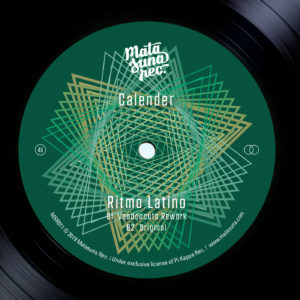 Matasuna Records presents another treat with its latest release: an official reissue with two songs of the US funk band „Calender„. Both tracks are available on a 12“ Maxi-Single for the first time. In addition to the mastered original versions, this EP features great reworks by two of our favorite producers: Mexican disco edit king „Hotmood“ and the highly acclaimed Matasuna artist „Voodoocuts„. Another quality release from a label that keeps setting the bar! This 12″ is absolutely great- love the edits, but also the original of „Hypertension“ is fantastic! Full support! Awesome tracks! I dig the organic feel of the originals most. Love the Voodoo Cuts & Hotmood Edits. A fantastic release! The Hotmood Edit of „Hypertension“ is my favorite here. …directly followed by the original version and the Voodoocuts rework of „Ritmo Latino“. Feel free to leave a comment here. Thx!